The mother, in red dress, following her arrest today. Next to her is her mother, who is also accused of being involved in the online abuse. Picture courtesy of the IJM. A young mother from Cebu offered to sexually abuse her six-year-old daughter and livestream the act online in exchange for money. The pregnant 22-year-old was also caught offering two of her sisters, aged 18 and 21, during an entrapment operation today (Wednesday, April 10). The suspect’s 43-year-old mother was also arrested after claiming the money that had been sent for the abuse. 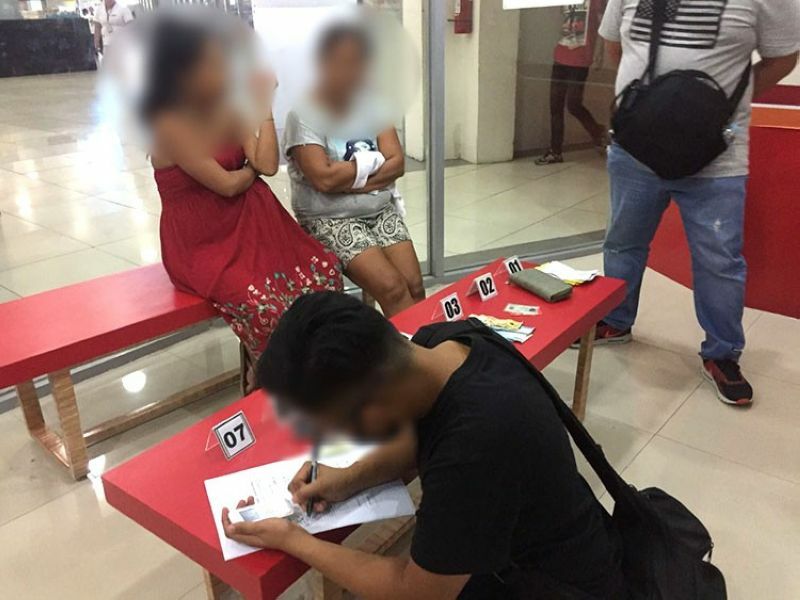 The police’s Women and Children Protection Center Visayas Field Unit carried out the raid in Cebu City at about 1pm. The operation was assisted by the International Justice Mission (IJM), a global organisation that works to fight slavery and exploitation of children. John Tanagho, the director of IJM’s Cebu Field Office, said: “While the Philippines has been dubbed the global ‘epicentre’ for the live streaming of child sexual abuse, it is quickly becoming the leader in combating this horrendous crime. “IJM praises the Philippine National Police Women and Children’s Protection Center as they prioritise rescuing the most vulnerable members of society — young children and women being sexually abused and exploited. Today’s raid was assisted with funding from the US Department of State, in partnership with the Australian Federal Police, National Police of the Netherlands, UK National Crime Agency, US Federal Bureau of Investigation and Queensland Police Service. Additional support came from Western Union, PLDT, Australian Centre to Counter Child Exploitation and Interpol. The victims are now in protective custody where they are receiving “trauma-informed care”, said IJM in a press release. Today’s raid comes just five days after authorities rescued two sisters, aged 15 and five, from online sexual exploitation in San Remigio, Cebu. The rescue was a result of a case referral from UK’s National Crime Agency. Charges are now being prepared against the children’s mother. As of last Wednesday, the IJM has supported Philippine law enforcement agencies in the arrest of 194 cyber-abuse perpetrators and the rescue of 466 victims since 2011.